As part of our ISO14001 accreditation we regularly monitor our gas and electricity usage and chart this on a monthly basis – the costs and kWh usage. We’ve worked hard over the last year to make ourselves more energy efficient in electricity usage installing energy efficient appliances, voltage optimisation and light sensors for each of our offices. Not surprisingly our gas usage is the highest as we use a fair amount to heat our premises and facilities. Reducing our gas usage has proved to be one of the hardest areas as with a large facility, we are very much reliant on industrial heaters but we are considering more of a zoned approach in 2014 to help here. Reviewing our energy supplier options has lead us to consider whether to stick with a traditional District Network Operator (DNO) type supplier or switch to one of the other types of energy supplier now promoting themselves, such as retailers and switching companies. Comparing prices and offers is not easy as companies offer different kWh prices and standing charges, and length of term contracts. Of course we want to tie our energy prices into a fixed-term contract. Comparing kWh prices for gas and electricity is fairly easy but most savings come from differences in the daily standing charge rates. You have to convert each company’s daily pence charged to an annual fee and then you can compare the prices charged over a year. It’s worth drawing up a simple spreadsheet as there can be quite a difference between DNOs and what we term ‘agents’. Also record on this spreadsheet when the contracts end as this can also affect the rates and any switching penalties if you move contract again ahead of the end-of-term period. The standing charge is a fixed sum you are charged no matter how much energy you use. There is a fixed standing charge for gas and one for electricity. 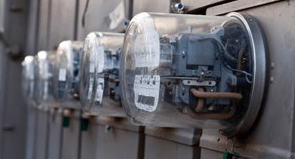 The standing charge coves a number of fixed costs including: meter reading, maintenance, cost of connection to the National Grid and pass-through-fees (paid to other companies who operate and/or maintain parts of the electricity supply network). For gas the standing charge also covers any emergency gas supplies. The final element in the standing charge covers the cost of government initiatives such as renewable power, carbon reduction commitments and support for vulnerable households and fuel poverty. It appears that the standing charge is highest for DNOs and traditional energy suppliers but lower for ‘agents’. The UK faces an unprecedented period now of energy instability with network reserve capacity set to fall to around 4% in 2014/2015. This will be overcome eventually with more renewables connected to the grid alongside the commissioning of new power stations. However, these developments cannot be made without the income that comes from standing charges and potentially other taxes on business and individuals. So do you pay a higher standing charge and support the long term development of the National Grid or go for a short-term energy saving that places the burden of energy network development on others? In our view, choosing an energy supplier who is ‘actively’ involved in the UK National Grid rather than a switching agent has to be the right approach. This provides a better chance of investment in the future security of our energy supplies and the decarbonisation of our energy generation. A final point to note is that you can opt to run with a two-tier energy contract which avoids the daily standing charge. With this form of contract you pay a higher pence-per-kWh for a set number units before this drops to a lower rate. The initial rate recovers the standing charge but based on actual usage. This form of contract may be suitable for less frequent or sporadic energy usage. Choosing the right energy supply contract for your organisation (or home for that matter) has to be part of your wider approach to energy efficiency and saving measures. To reduce your gas usage, invest in more efficient A-rated boilers and install zoned thermostats and heating controls. Consider investment in Biomass and heating boilers that can generate electricity for export or local energy storage. To reduce electricity usage consider investment in voltage optimisation and the upgrade of legacy UPS systems to more energy efficient ECO-mode uninterruptible power supplies. Whatever your investment decisions remember to factor in the one certainty we have into your Total Cost of Ownership (TCO) calculations; energy costs will continue to rise over the next decade. The impact of these can be reduced through investment in energy saving technologies, some of which the UK government supports through additional capital incentives and grants.